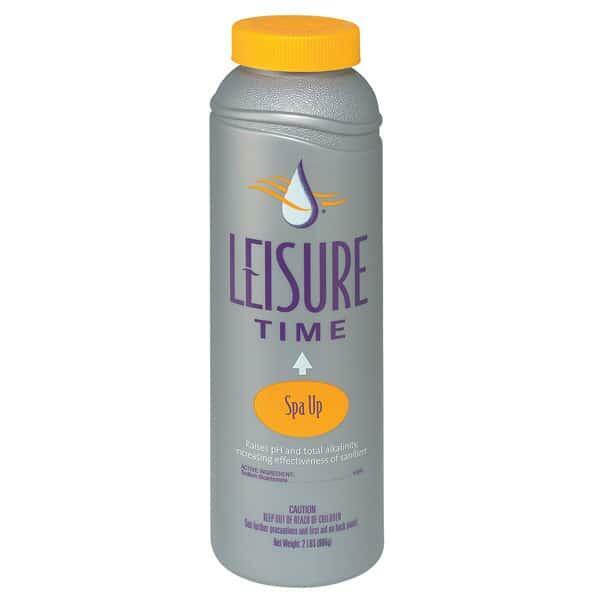 Spa Up is a sodium bicarbonate spa chemical used to efficiently increase the pH in spa water. Although the main function for Spa Up is for the pH, it also will raise the level of alkalinity. The powerful formula is in order when your pool is suffering from low pH and alkalinity. You may be observing symptoms like eroding of the spa itself, staining, rapid dissipation of chlorine, burning eyes, burning nose, dry skin, itchy skin, and breakdown of swimwear. If your pool water is exhibiting any of all of these symptoms, check pH and Alkalinity levels. If you find that the water is out of balance, employ Spa Up to quickly heighten levels of pH. Spa Up features no waiting period to soak, it is compatible with all other spa chemicals, and dissolves quickly and without any residue. When you find your spa water to feel, look or smell less than spectacular, turn to spa chemicals to efficiently strike a balance. NOTE - Be sure to first check the Alkalinity of the water. If the Alkalinity is low, use Alkalinity Increaser to raise it, then focus on the pH. Maintain pH levels between 7.2 - 7.8 ppm. pH is a key component of balanced pool water. Often times by simply adjusting the pH and Alkalinity, cloudy water will turn clear. Use pH Balance by Leisure Time to lock in the level.